Looking to transform your house into a rustic retreat? Add some beautiful rustic decor to your space to create a farm house inspired rustic home. All it takes is a little bit of effort and you can create an entirely new look. The rustic home interiors are in trend now. This decor trend is based on reusing the old wood and making it more beautiful by giving it a Vintage Vibe. 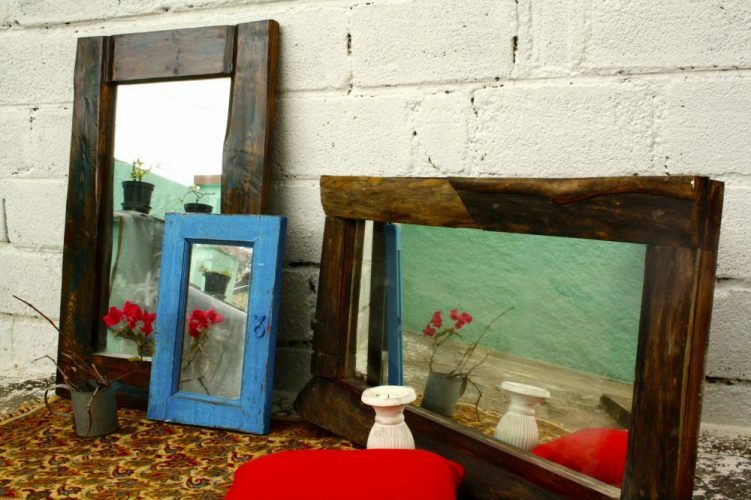 You can also up-cycle your old furniture by giving it a new rustic life. Regardless of your needs, we have natural choices that will add some character to your home. Here are 5 simple ways you can bring this rustic look into your home. Find a special place on your wall for these rustic wooden Wine Racks. 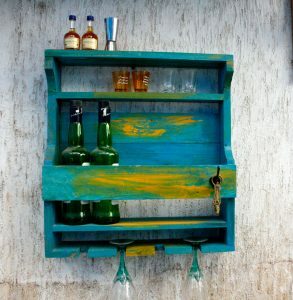 You can re-purpose your old wood into a rustic wine rack with a dash of color. 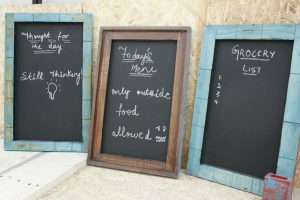 Personalize your space with these quirky rustic chalkboards to add small notes. You can write quotes on these boards to always feel motivated. 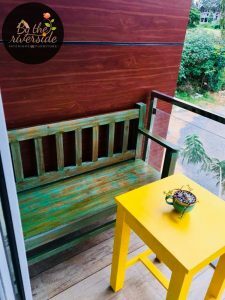 Outdoors are as important as interiors.You can bring in a cozy corner by adding these rustic wood furniture to your outdoor space to enjoy your evening tea time. 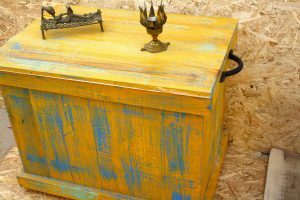 A beautiful Rustic wooden storage chest that can be used as a coffee table, show piece, or a toy storage. This piece would surely add a charm to your interior space with a good pop of color. 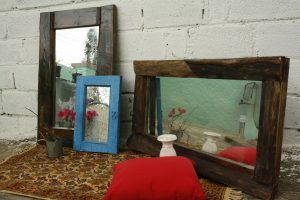 These Rustic mirrors can be made out of reclaimed wood and frames. It adds a good look to your space giving you a rustic feel.